Got an old pair of speakers that don’t bark as well at the low end as they did in their younger days? 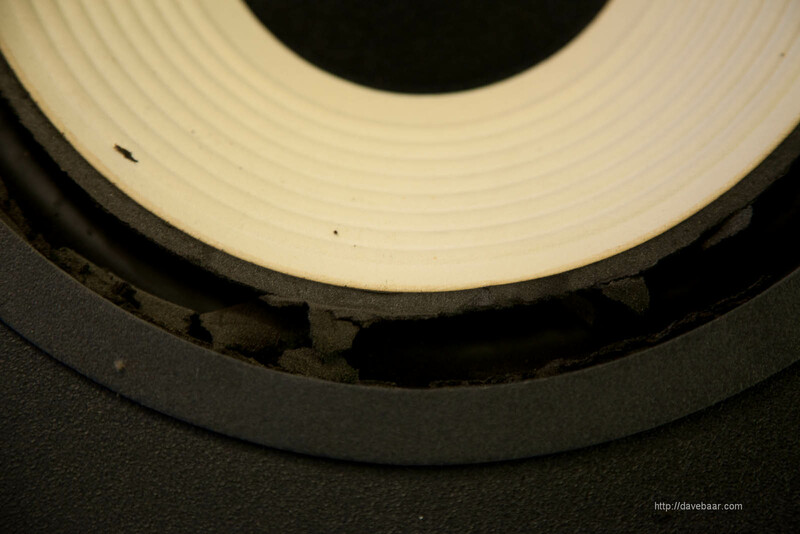 You might be suffering from the dreaded woofer foam rot. 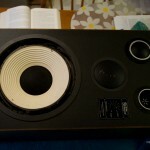 Recently, I had been hunting for a good, cheap pair of speakers to partner with my newly repaired Hitachi receiver. 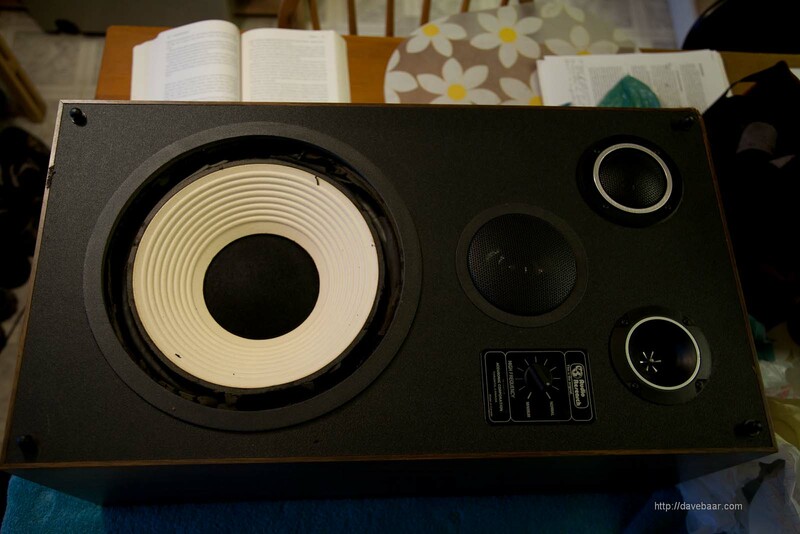 I luckily found some free on Craigslist; someone just 2 blocks from me was giving away a great pair of 4-way Audio Research speakers with massive 12″ woofers, probably 1980′s vintage. They were “great”, that is, except that the suspension foam surrounding the woofers had almost completely decayed away.